I have turned to become so much sporty recently. 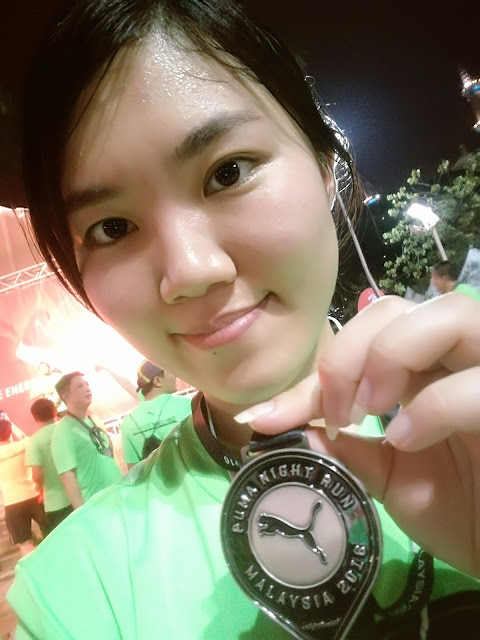 I have participated to Puma Night Run KL 2016 which happens on 20 August 2016 and held at Dataran Kemerdekaan Shah Alam. The event starts at 5pm, you can head over to here early to redeem your shoes bag to avoid crowds later. To redeem the shoe bag, you need to show them your piece of number and the coupon. 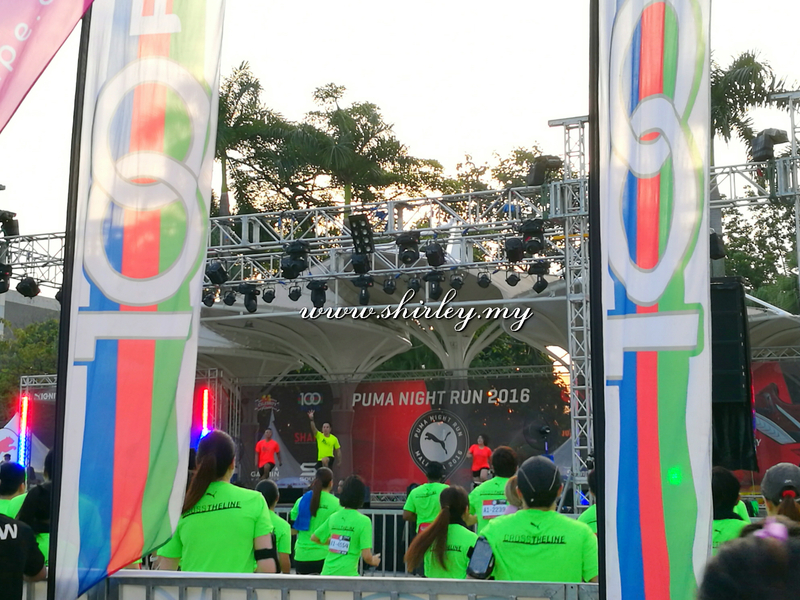 PUMA Malaysia recently organised the third instalment of the annual PUMA Night Run Malaysia at Dataran Kemerdekaan Shah Alam. With a total of 10,000 running enthusiasts taking over the brightly-lit streets of Shah Alam, this year’s race not only boasted the largest turnout thus far for the Malaysian leg of the PUMA Night Run, it was also the year’s biggest PUMA Night Run in the whole of Southeast Asia. The 10 KM route was intentionally designed to bring out the best in the participants by incorporating both straight terrain interspersed with hilly stretches. 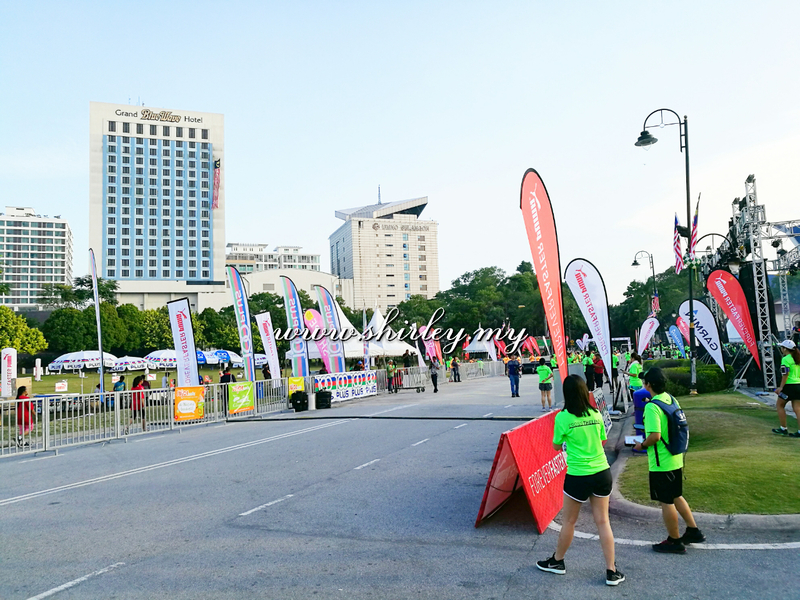 The runners had their resistance and endurance pushed to the limit as they raced along the streets of Shah Alam past iconic monuments such as the Sultan Salahuddin Abdul Aziz mosque, the second largest mosque in Southeast Asia. 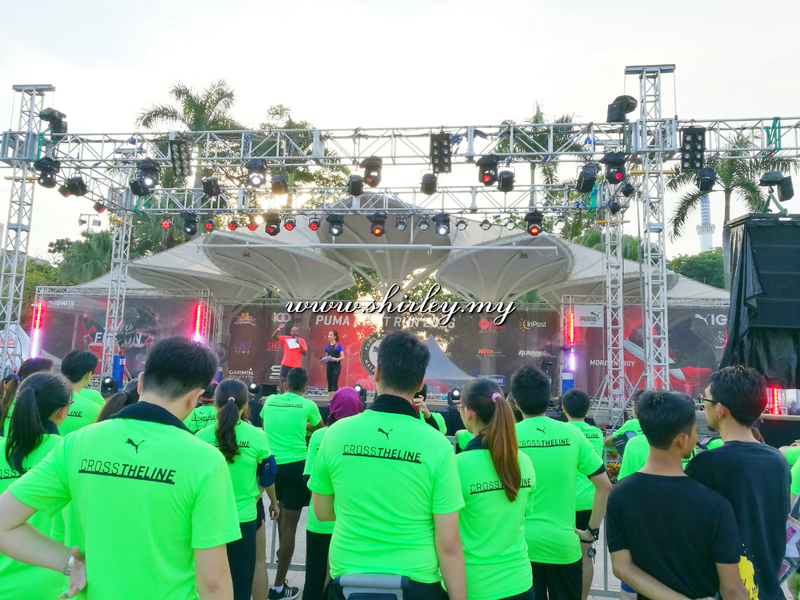 Amidst a carnival-like atmosphere with cheerleaders and drummers at the starting line, the first wave of runners was flagged off at 8 pm by PUMA's General Manager of SEA, Philippe LeBretton, followed by the second wave at 8.15 pm, flagged off by PUMA's Head of Marketing for SEA, Gabriel Yap. Well, I reach at 6pm and it seems to be not so much people at around yet. The place has been decorated so nicely where you can spare your waiting time to walk around and snap some beautiful photos. 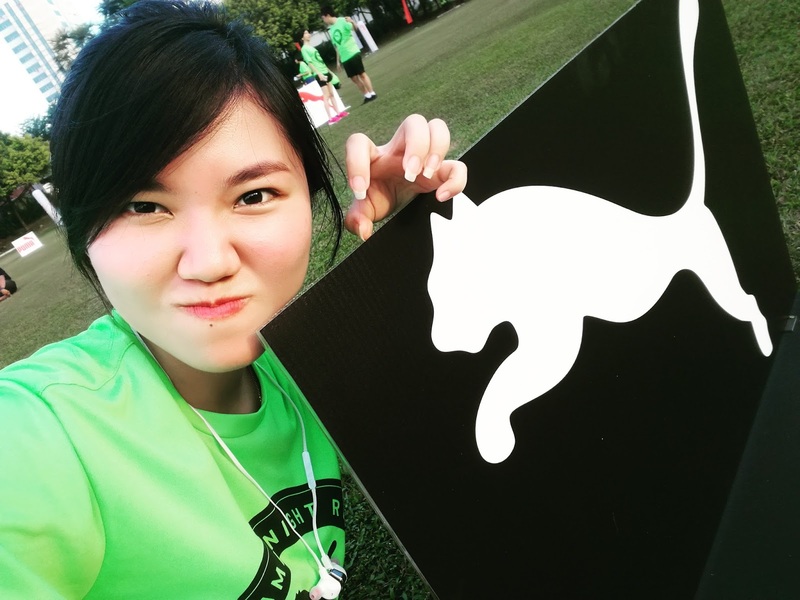 At a mean time, there is an Instagram contest on-going which requires the participants to take photo with any PUMA logo at the scene and to be uploaded onto our Instagram. Want to catch some photos of the contests? 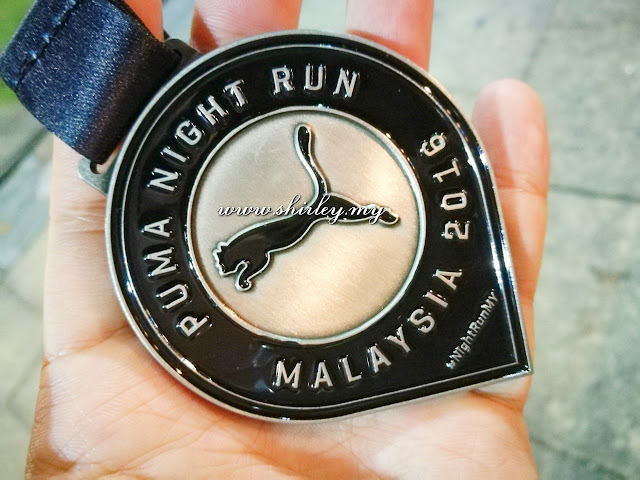 Do search for hashtags #NightRunMY #myPUMAWatch #soulMalaysia #pumaMalaysia. 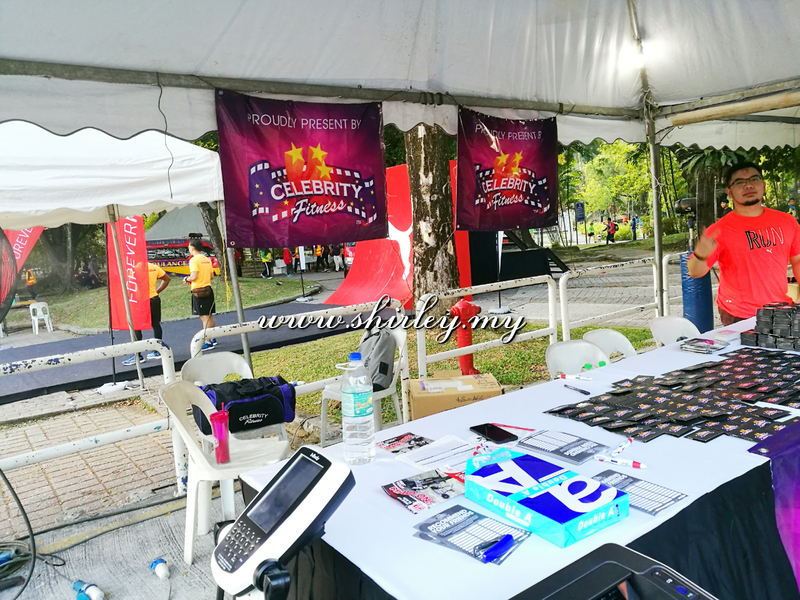 There are few booths set up at there such as celebrity fitness, Puma items selling booth, etc. Those who reach early are able to visit all the booths without squeezing in the crowd and wait for a long queue. 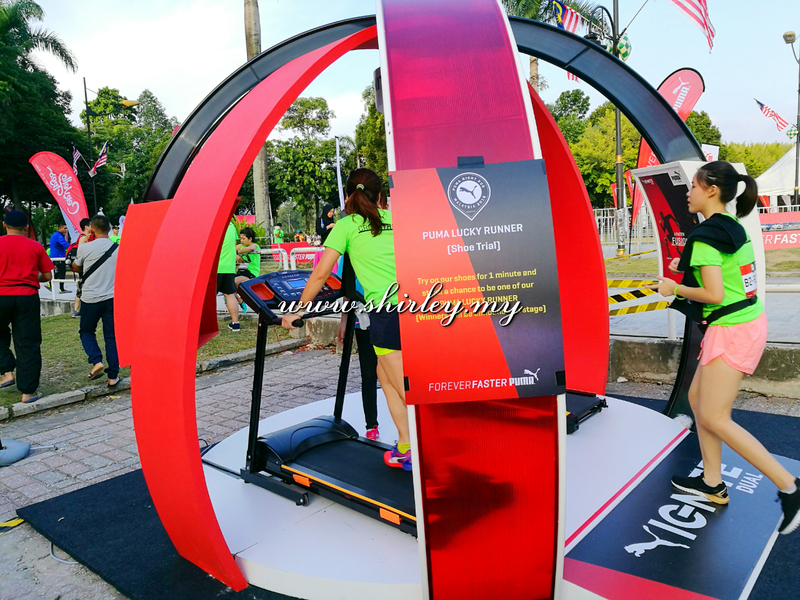 Participants are able to try on the ignite dual Puma shoes on the running track. That's pretty cool that you can warm youself up before the run. Puma's apparels and shoes are available for purchasing in the container. I spot a game station which I have no idea what it is. 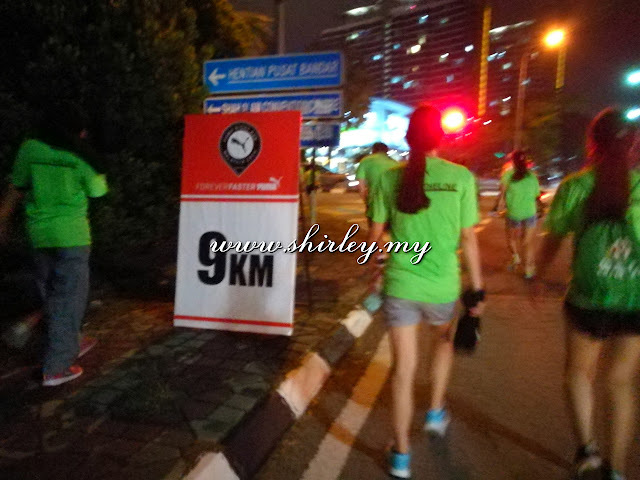 Participants can spend their time at here if they are reaching early before the running time. It's actually quite hard for me to find the redemption booth, and it's actually located at behind of the stage. MCs start their speeches at around 6.30pm. Both of them are so cute that they are trying so hard to interact with the participants and playing games with us to giveaway Puma watch. Tips for you, if you wish to win the giveaway prizes, do stand at the position where it is easier for you to reach the stage at the first time. Puma's logo board can be seen at around the empty space in front of the stage. Warming up session presented by Celebrity Fitness at 7.15pm. Everyone starts to dance up on the floor. Basically, it is a little bit hard for me to follow each of their steps. It looks so beautiful that everyone are in green shirt wandering around the place. I pretty like the color of the shirt for this year Puma run. Are you ready for 10KM run challenge? 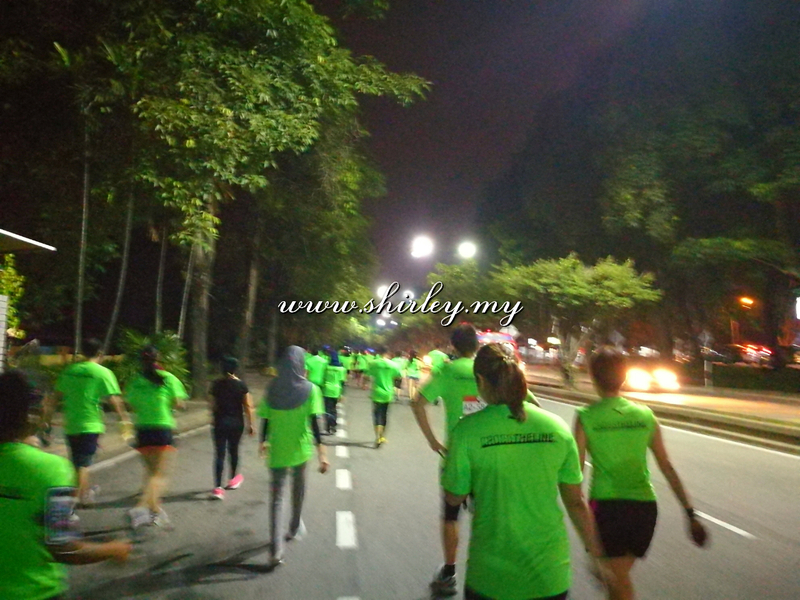 Running at night is quite nice because of the weather is windy and cool.Be sure to run safely as I see a lot of participants simply run to another lane of the road to cut queue. 10km run is not an easy job for me. So yes! I finally complete it and got the finishing medal! 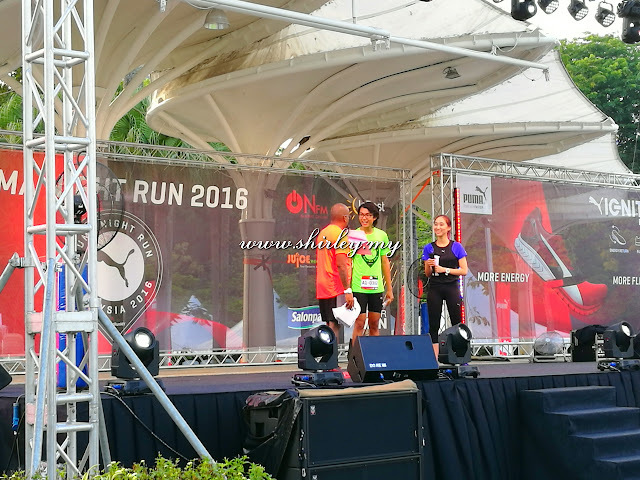 As a fervent runner himself, Le-Bretton raced with the crowd after sending them off and successfully completed the 10 KM run. 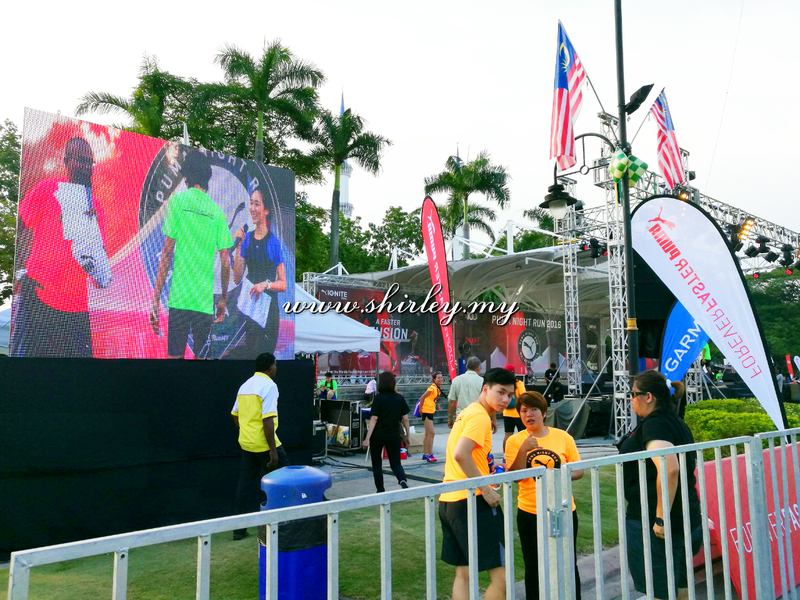 He mentioned that he could not wait to take part in this year's PUMA Night Run Malaysia as he was very impressed with the record number of participants and wished to join them in their zeal and spirit of sportsmanship. 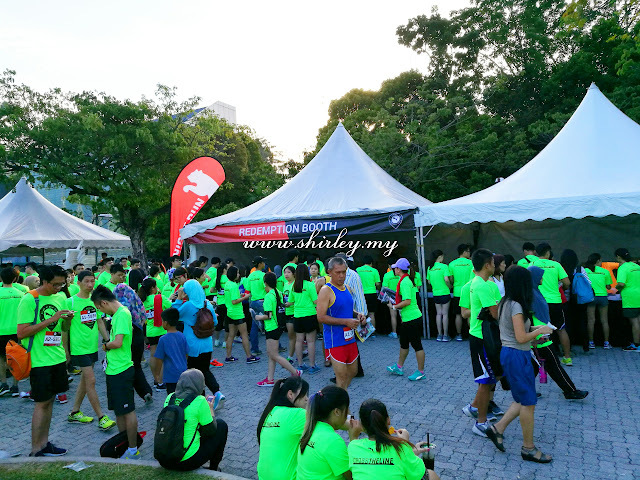 "I am delighted to have been a part of the Malaysian Night Run. 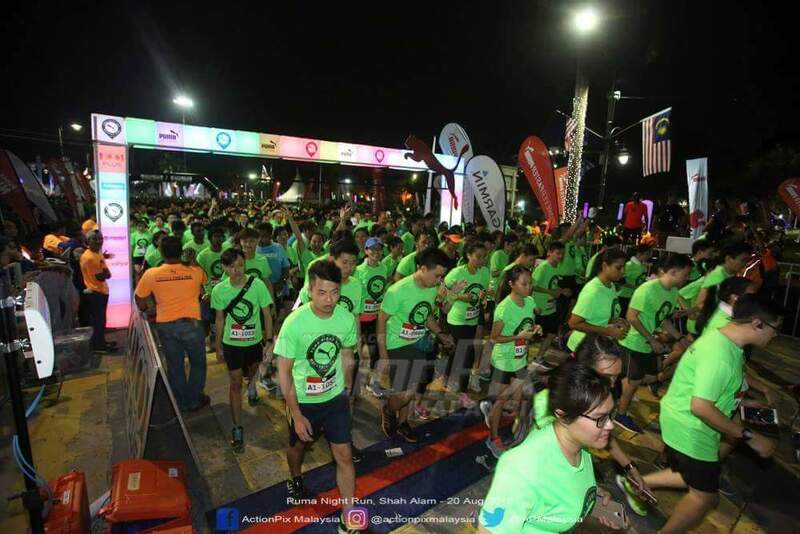 The fact that it has officially become PUMA's largest night run in Southeast Asia speaks volumes for the number of running fans in Malaysia. 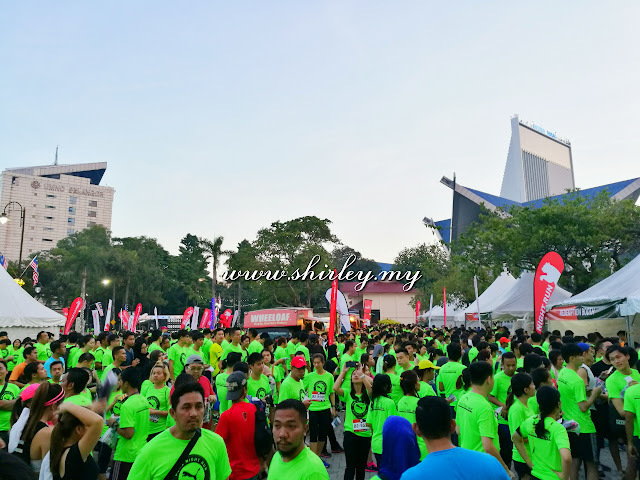 It was encouraging to see so many runners gathering in Shah Alam from all over the country and to race alongside them was simply exhilarating!" he said after the run. 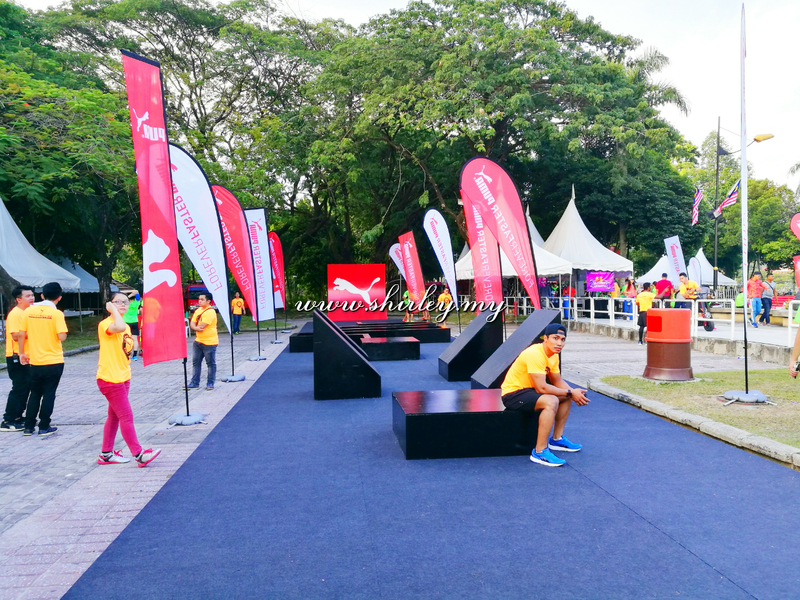 Enthusiastic runners were already crowding the venue as early as 5 pm to take part in the many activities organised at the PUMA Village. One of the most popular attractions was the PUMA Red Wall, a challenging obstacle course not unlike the American Ninja Warped Wall but shorter at 10 ft. It was quite a crowd favourite as many eagerly waited in line for a chance to conquer it. The festivities continued long after the run ended. Emcees Phat Fabes and Melissa Th'ng kept the crowd on their feet while performances by B-boy dancers Wakaka Crew, beatboxer Koujee and flow artist group PsycuSix helped to keep the runners entertained as they eased off their fatigue after giving their all for the race. 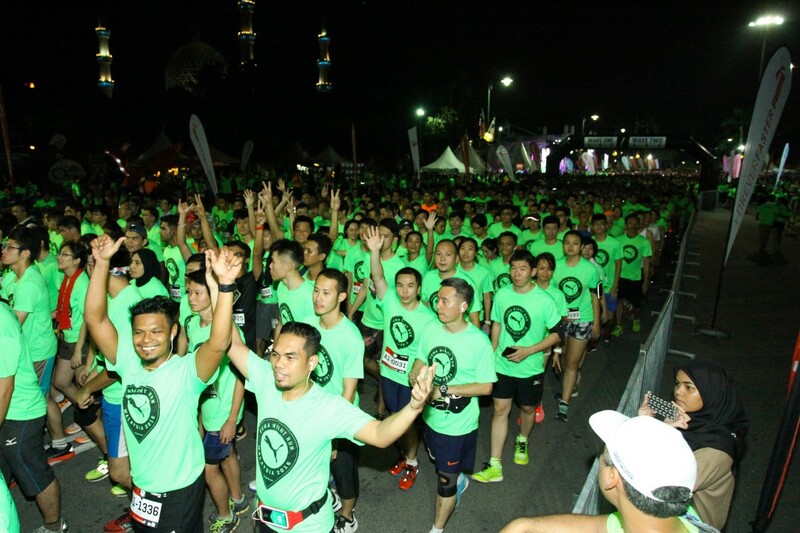 One of the participants, Joey Ten from Petaling Jaya, was glad that the PUMA Night Run was more than just another run. 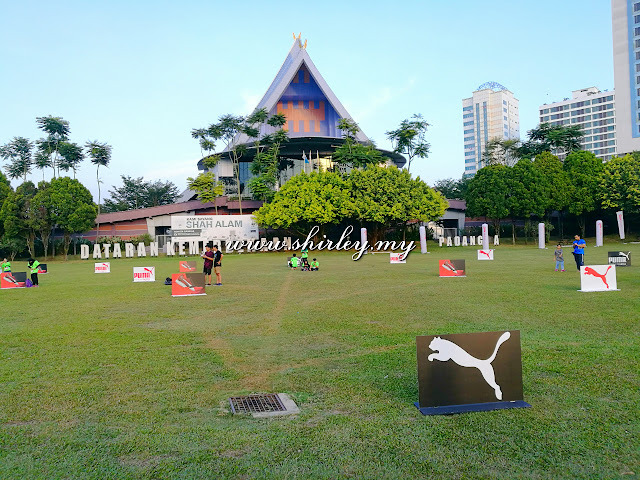 "There were a lot of activities going on at the PUMA Village and we took this opportunity to take some Instagram-worthy pictures around the venue. My friends and I also loved the fireworks display at the end of the race as it felt like a fitting reward after completing the 10 KM run," she said. 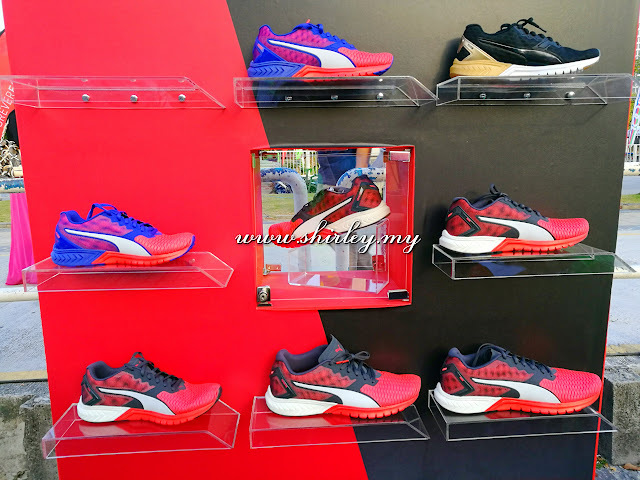 Puma also set up a unique pop up store at the race venue to give participants an exclusive opportunity to try out the all-new Ignite Dual running shoe endorsed by the world's fastest man, Usain Bolt. 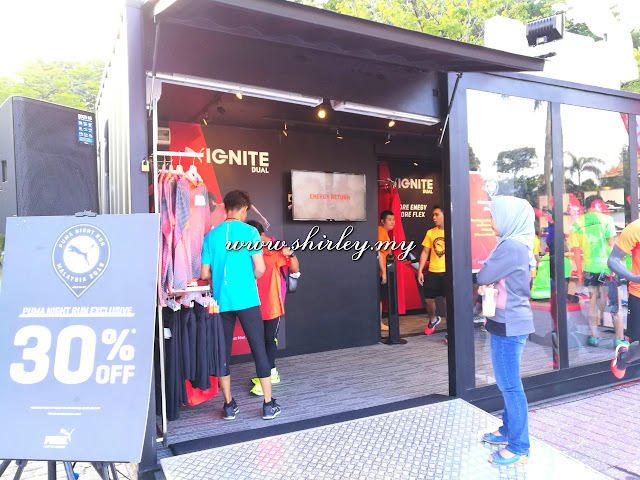 The pop up store was a major hit among the runners as many were seen frequenting it to get a feel of the Ignite Dual. 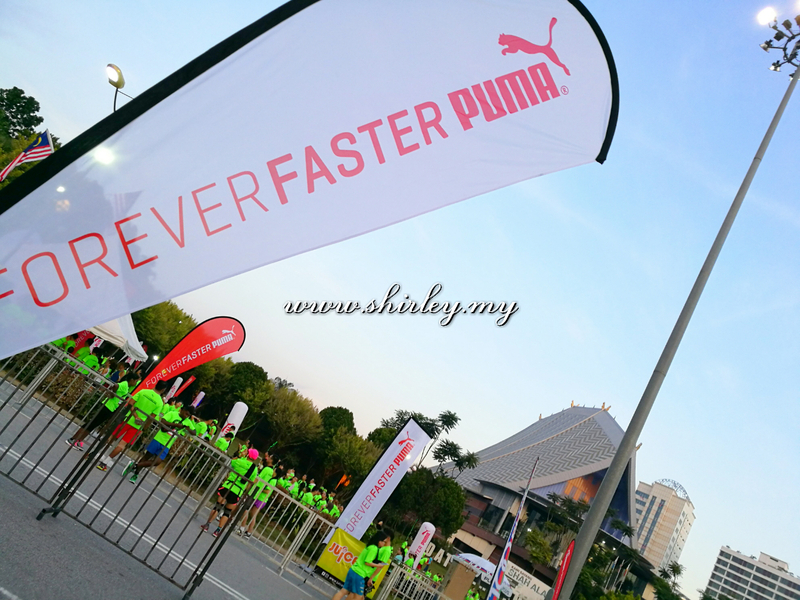 The shoe, which combines both flexibility and high energy returns, was worn by most of the Puma Friends and media who took part in the run. To know more details about Puma Night Run 2016, click here. 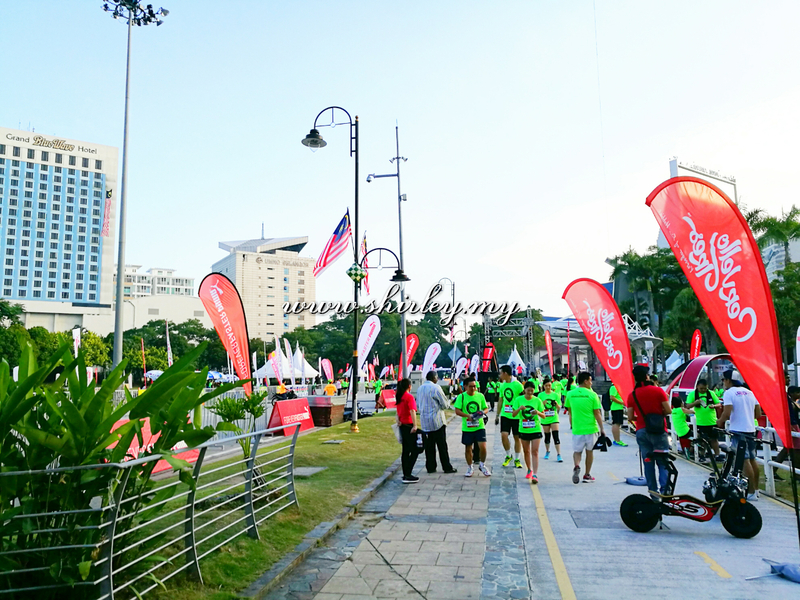 Visit Puma Night Run Malaysia to get the latest updates!